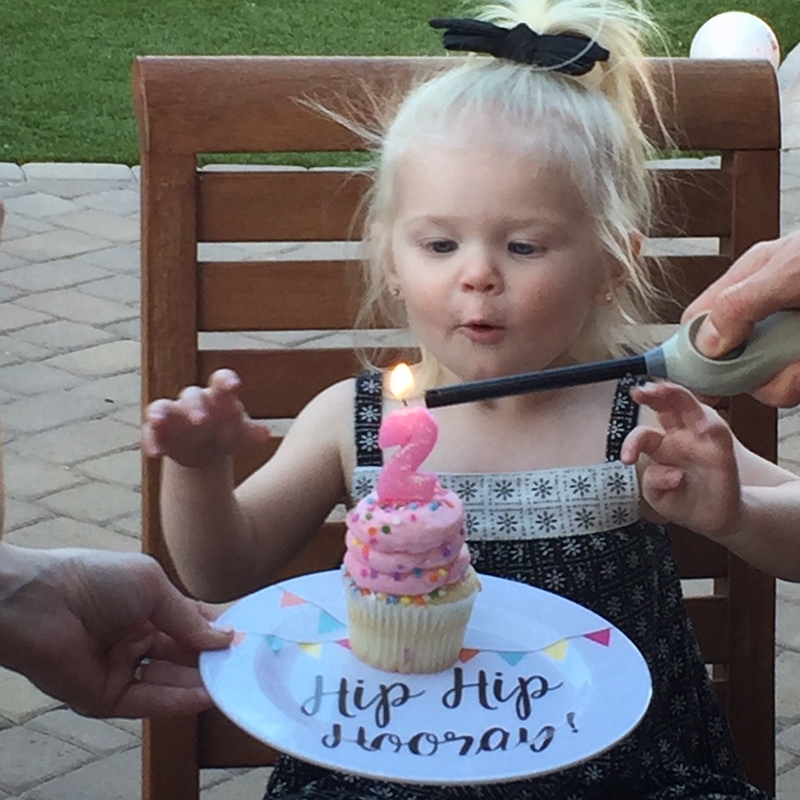 My baby is two so you know what that means – PARTY time! 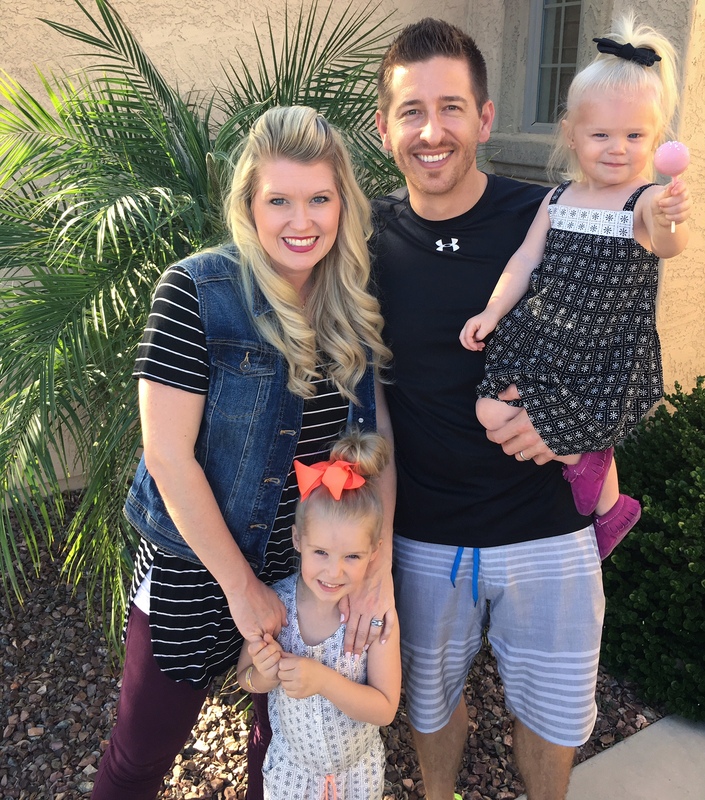 Since we did the big first birthday party, we decided to scale back this year and just celebrate with a few close family members. 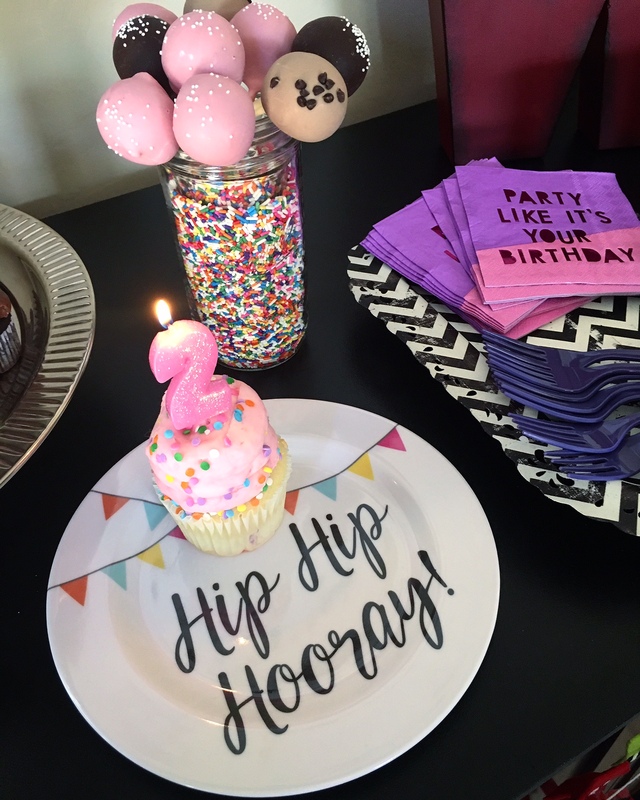 But, just because it is a small party doesn’t mean it doesn’t need a festive theme and cute decorative touches! 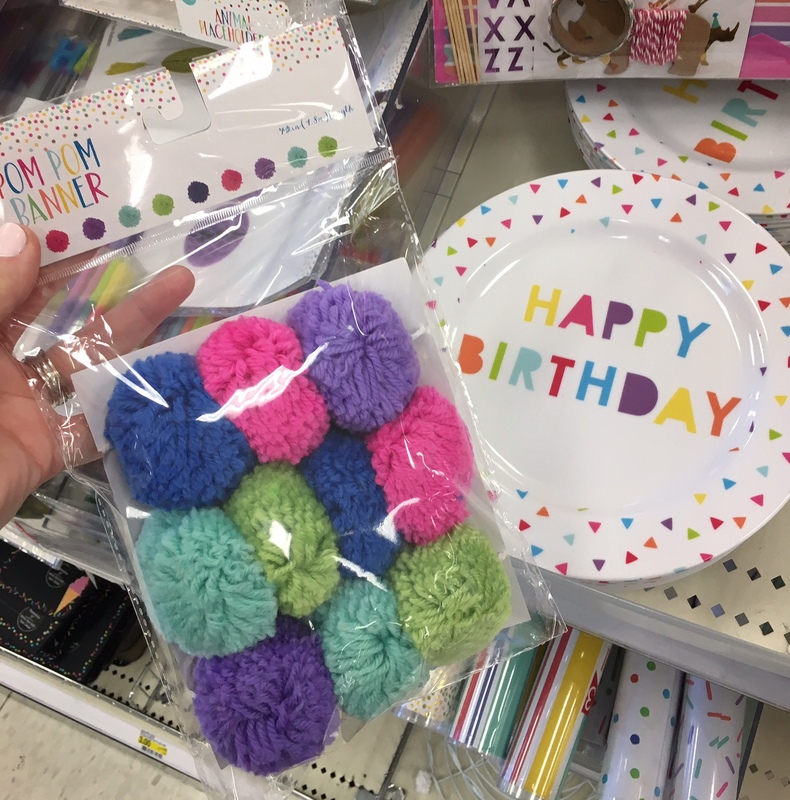 I decided to hit up Target (one of my favorite spots) for all of the birthday decor and as usual I found more than enough goodies. 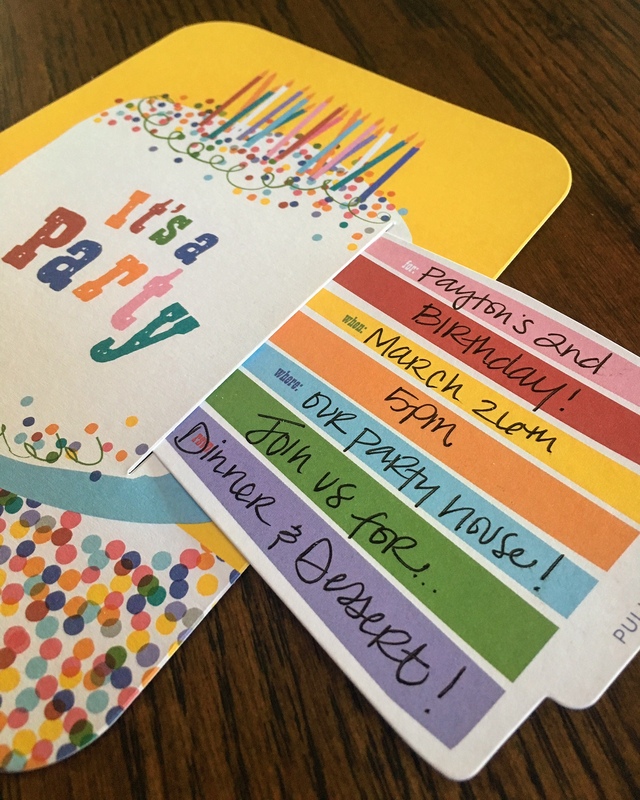 Normally I go all out and hand-make or order invites on Shutterfly/TinyPrints, but since this was simple party, I decided to pick up some cute ‘fill-in-the-details’ invites I found at Target! 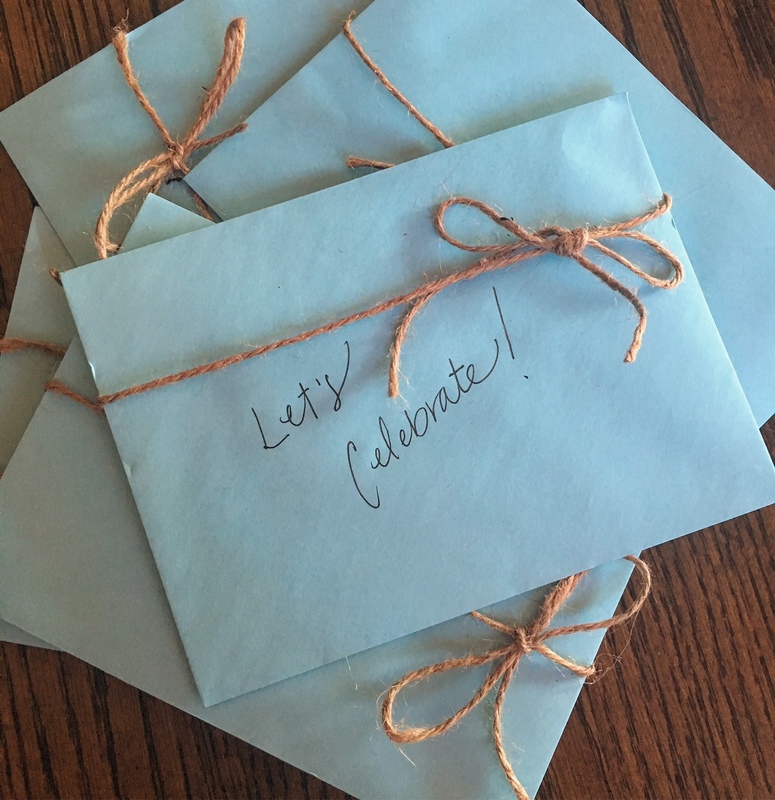 It was a piece of cake to fill out, and it turned out adorable; talk about time and money saver! 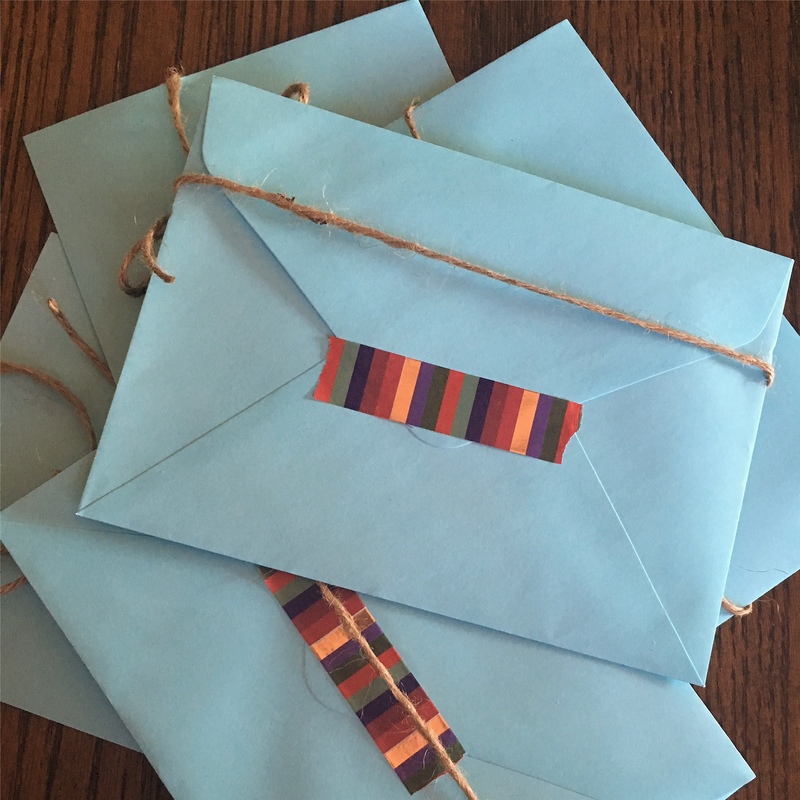 Of course I didn’t stop there, with the help of decorative tape and twine I was able to dress up the invite! The little touches go a long way. I decided to go with a colorful touch and bring out all of the springy colors of the season; lots of pink, purple and mint. 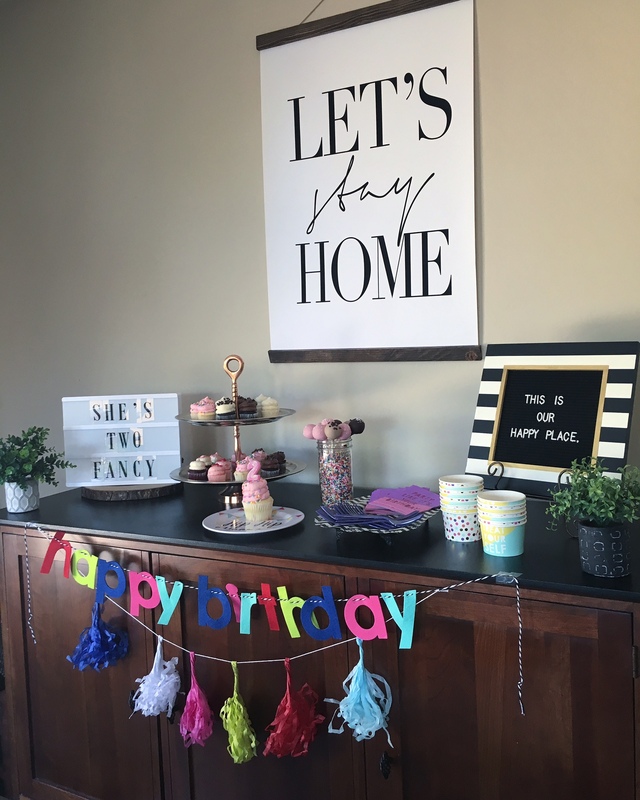 I was also able to use some leftover decorations from Paisley’s Ice Cream Sundae Party, Win-Win! 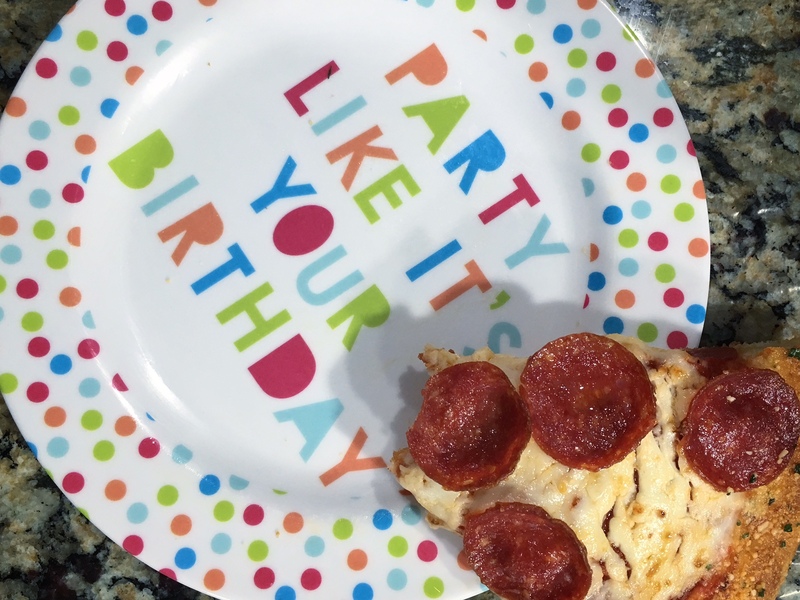 Party Trick: Instead of using plates, get creative! 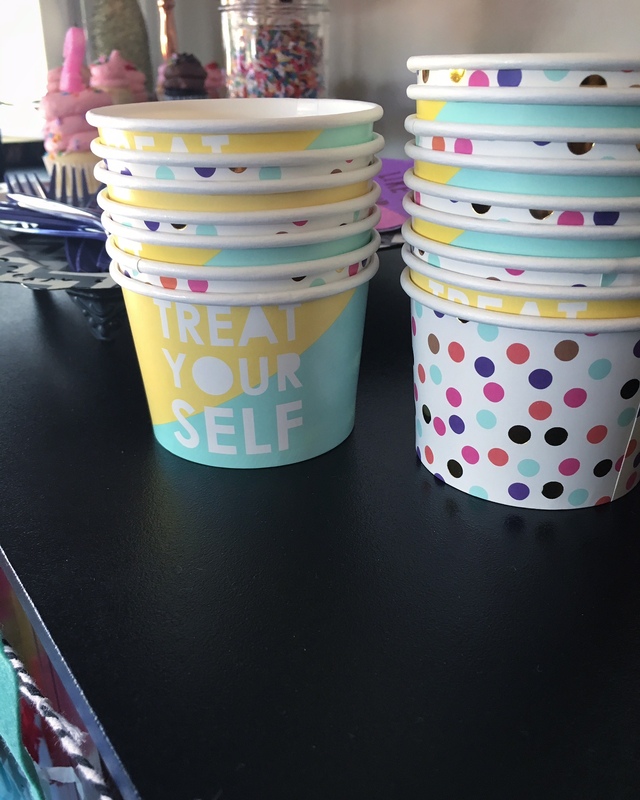 We served the desserts in these adorable paper treat cups, which also double as decor. 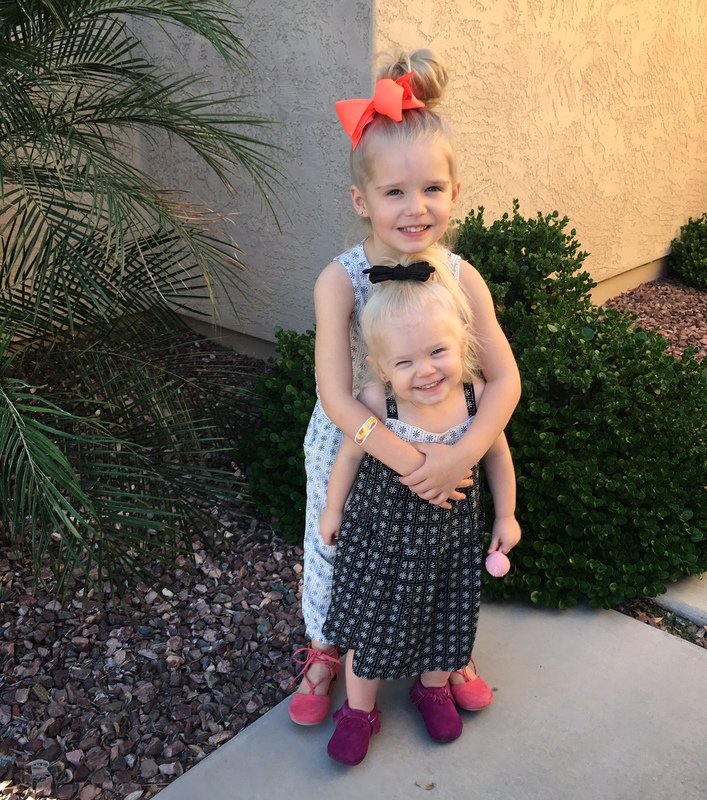 They look good and they help keep your kiddos and the floor clean! 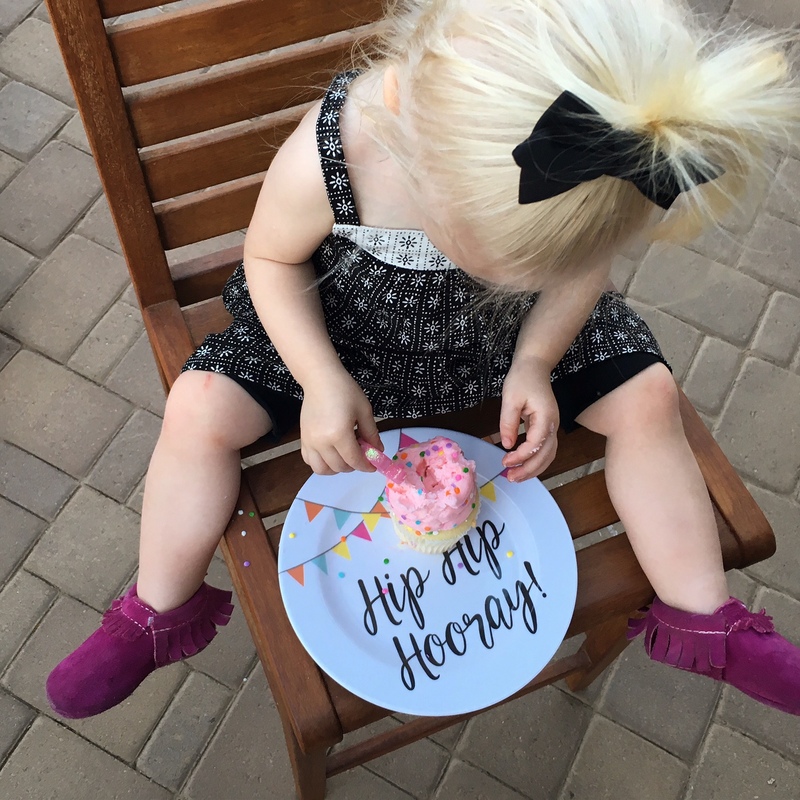 When your little guests grab their dessert, you don’t have to worry about the dessert sliding off of their plate! *Click HERE to find a similar option. 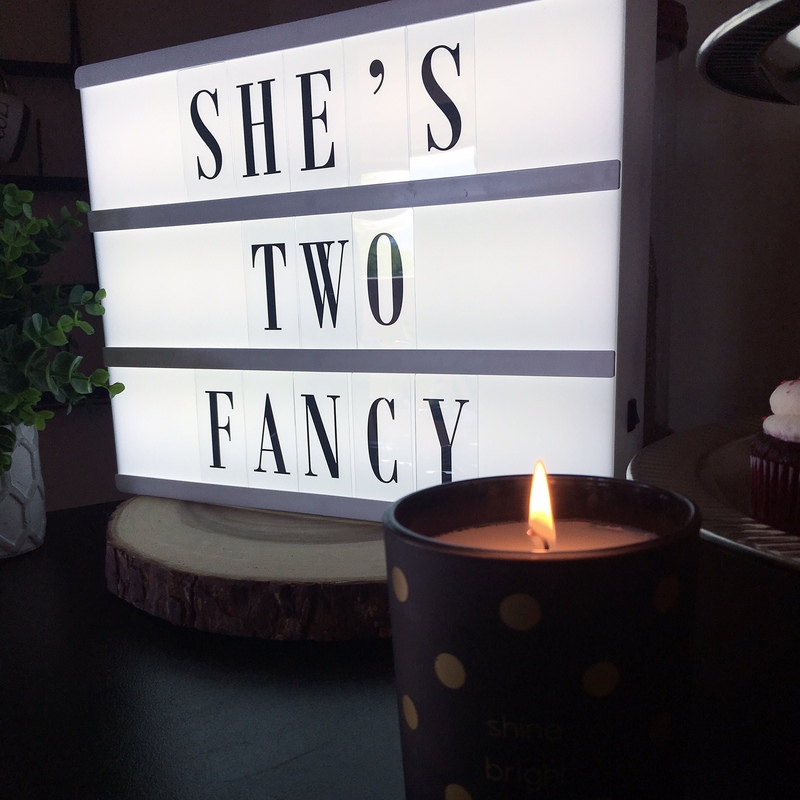 I found this fabulous light box at TJ Maxx and thought it would be the perfect addition to the dessert table and it carried the ‘She’s TWO Fancy’ theme in perfectly! *Here is another adorable and affordable Light Box. Hobby Lobby sells the best standing easel chalkboard that is double-sided. 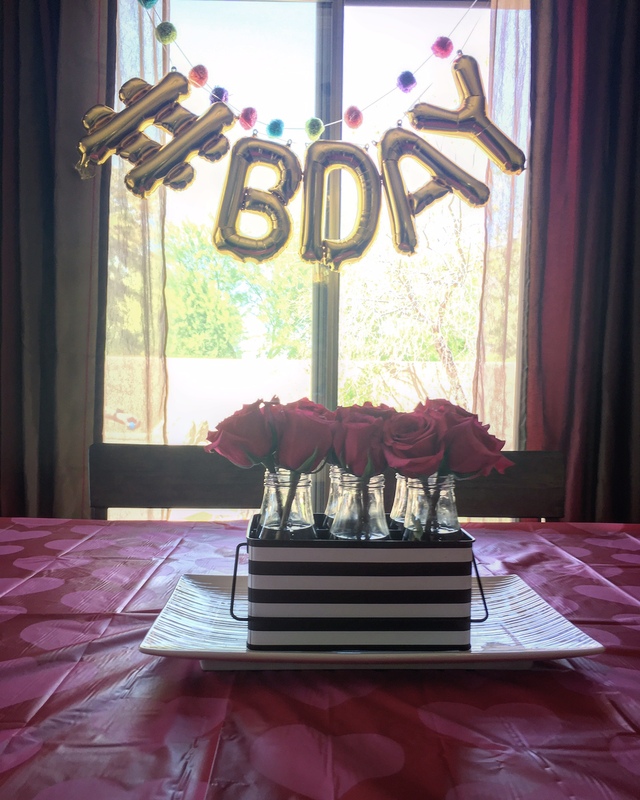 We have had it for years and I use it for every big milestone moment such as birthdays, parties and the first day of school. I love chalking up a cute sign to have by the front door to welcome our guests. *If you don’t have a Hobby Lobby near you, here is a similar Rustic A-Frame Chalkboard. 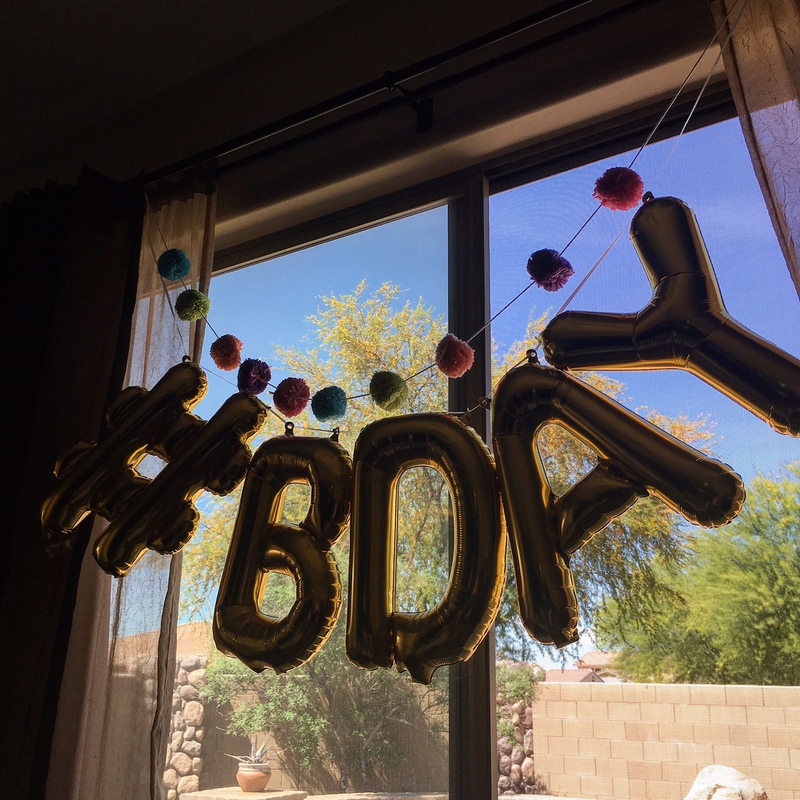 Balloons are always a great added touch for any party, especially for kids. If you can’t get helium-blown up balloons from the store, grab a package of balloons and blow them up and let the kids play with them, or tape them together and create a hanging design. 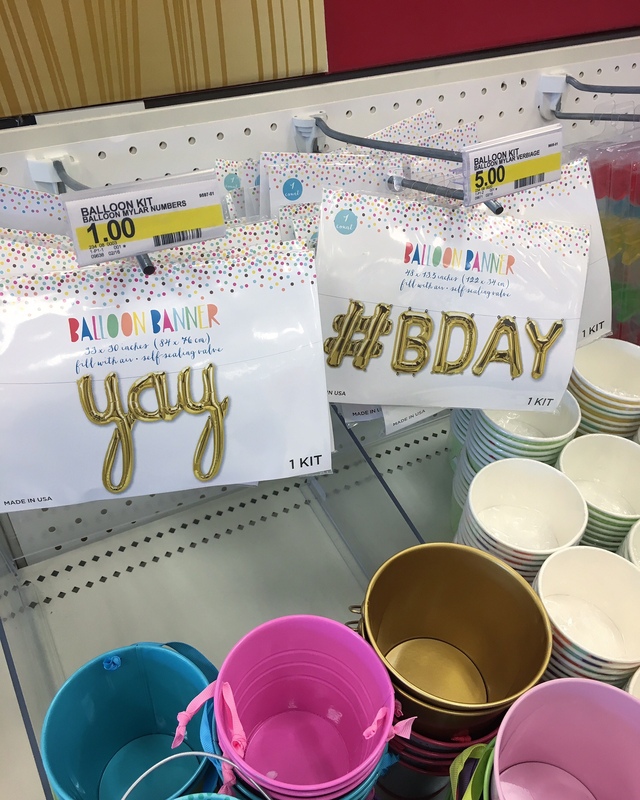 I found these gold balloons at Target and love the metallic touch they brought to the party! #BDAY! 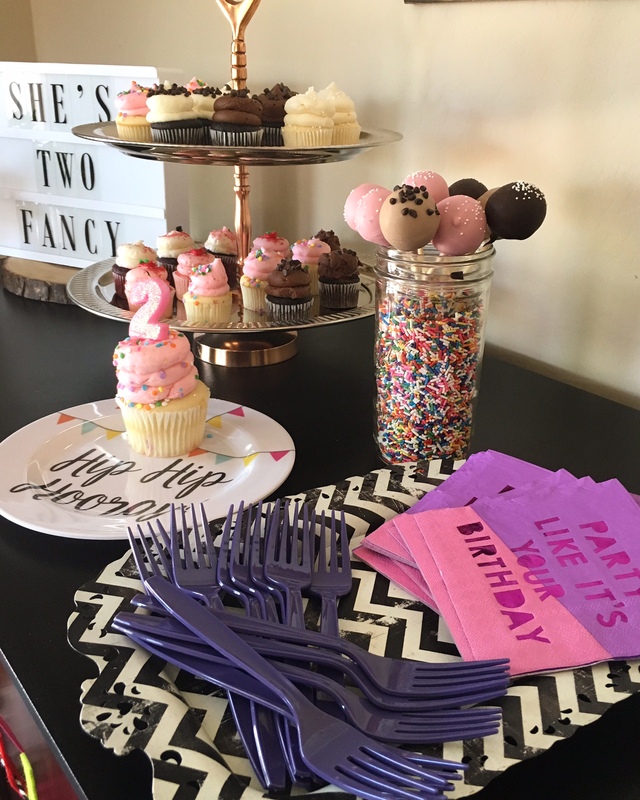 Payton is my little dessert and sweets lover so we went with an assortment display of mini cupcakes and cake pops! 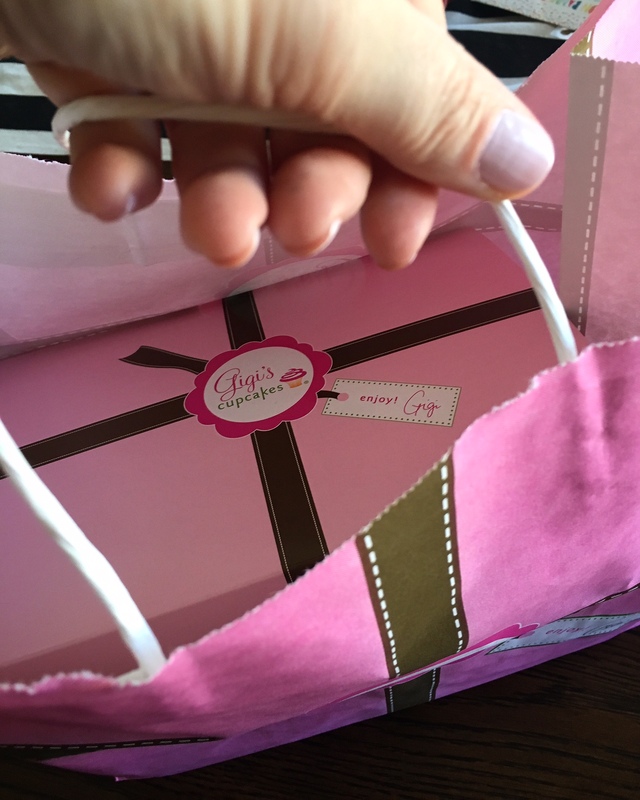 We ordered cupcakes from our favorite local cupcake shop, GiGi’s Cupcakes, where we were able to pick an assortment of our favorite cupcake flavors in mini, bite-sized goodness. 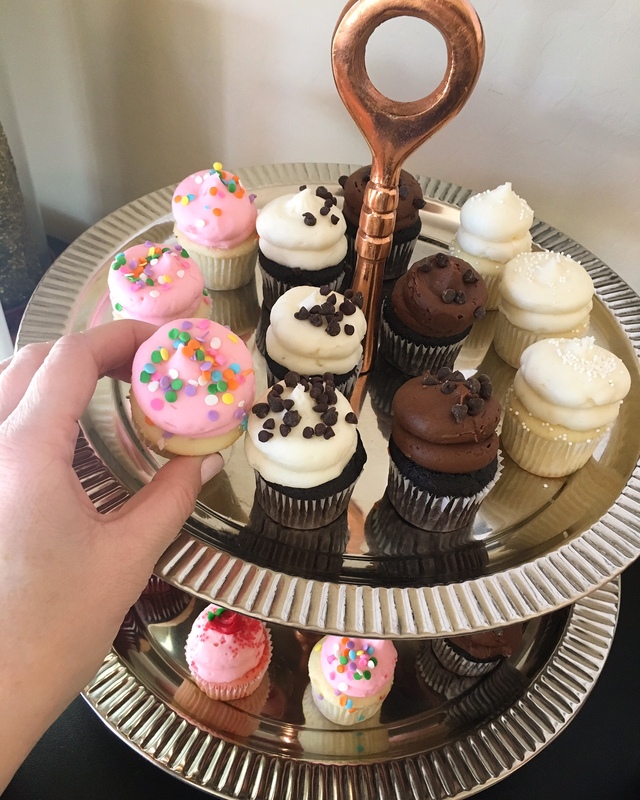 I have found that mini cupcakes are a better option at parties because it allows your guests the opportunity to try multiple flavors. Also, if you are going to have a lot of littles at your party this is a great dessert. 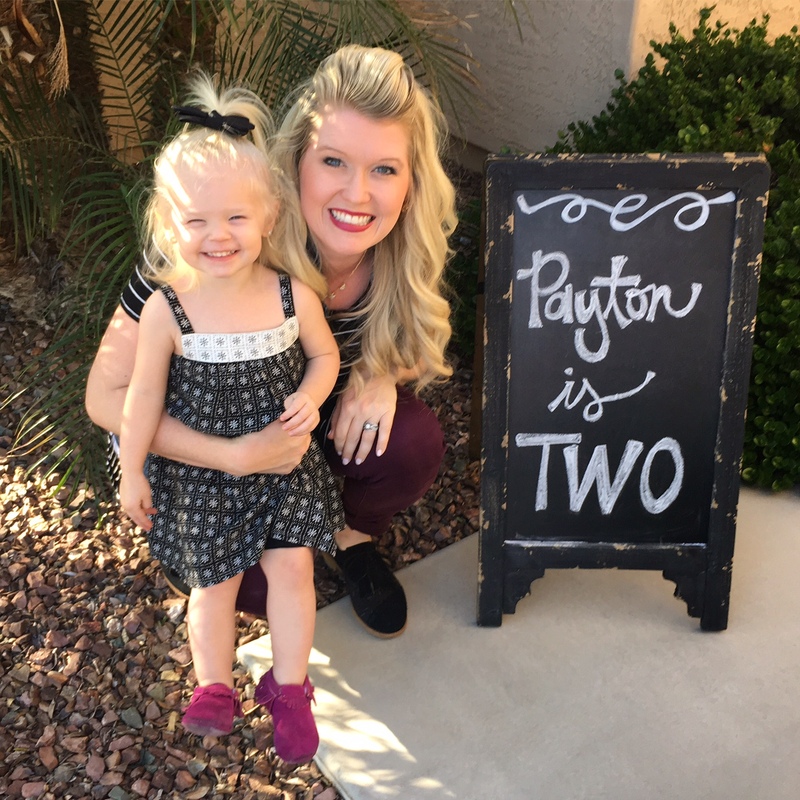 …And of course since Payton shrieks for cake-pops every time we drive-thru or walk into a Starbucks, so we decided to pick up all of her favorite flavors to share! 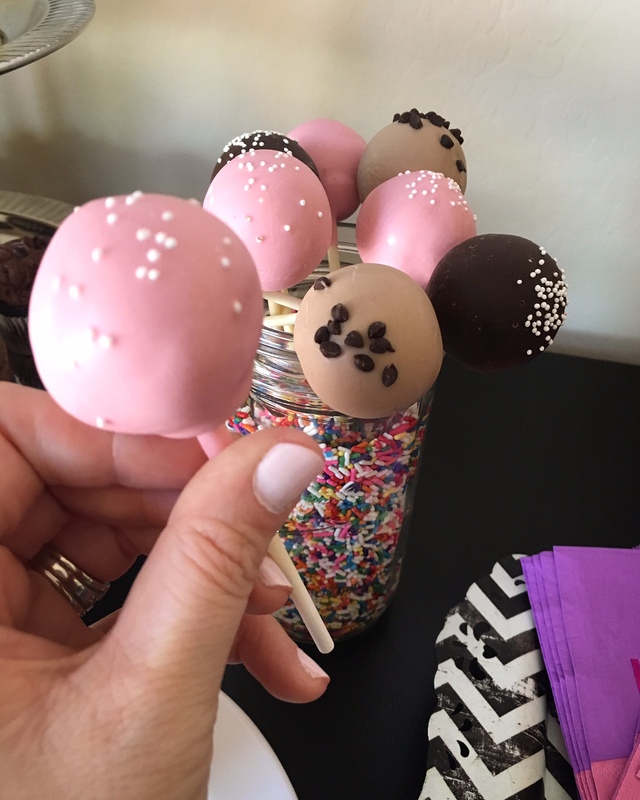 Cake-pops are another great dessert. 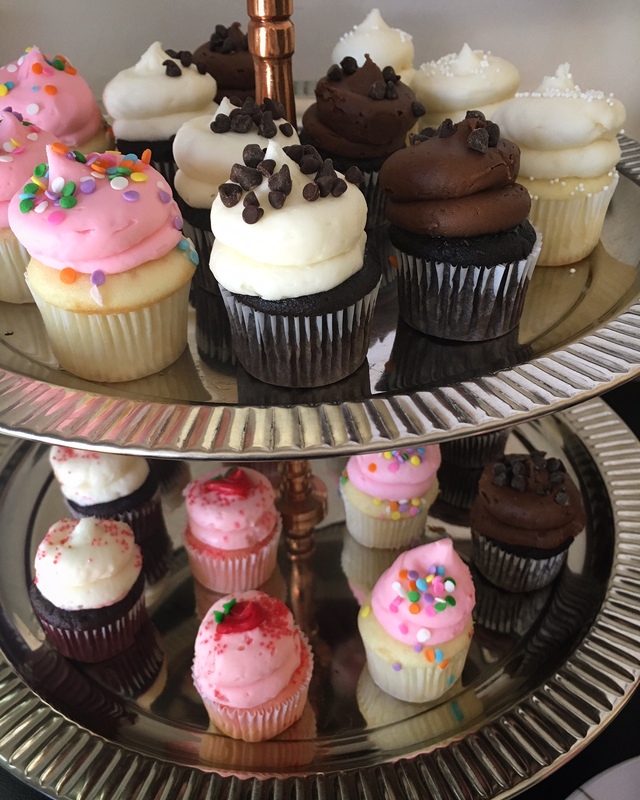 They are the perfect size of yumminess for your guests to enjoy, and not to mention they look great on display! 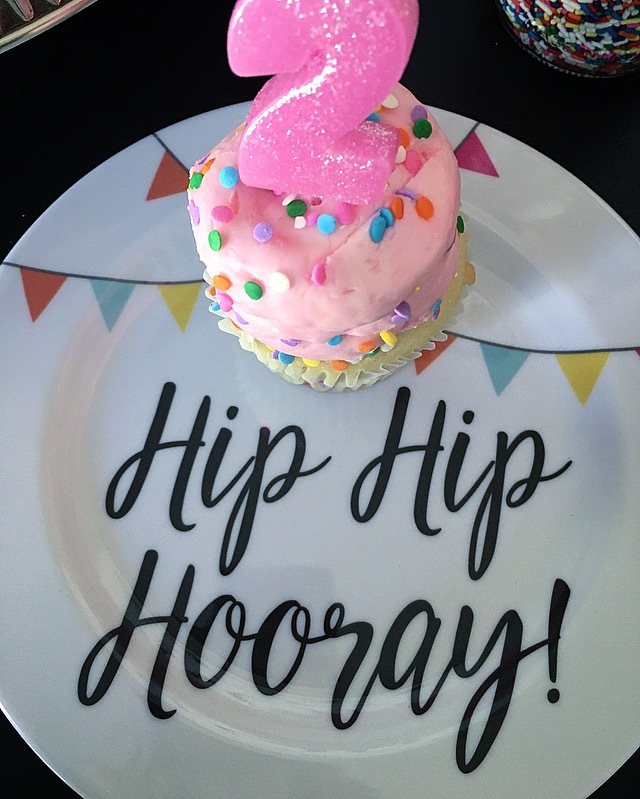 *I found this fabulous two-tier platter at Home Goods, but HERE is another dessert platter I love! I filled up a wide mouth quart sized mason jar with sprinkles to display my selection of cake pops. Cute, colorful and right on par with the theme. 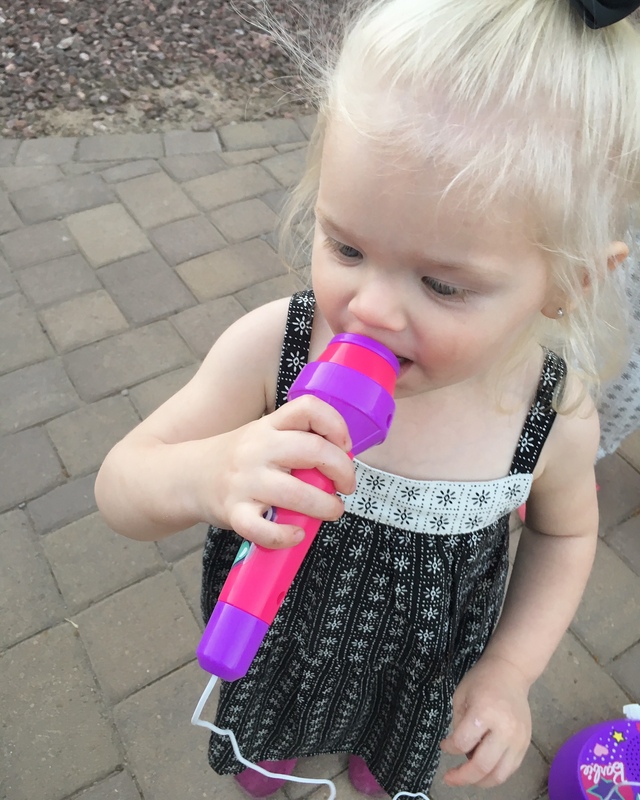 Every little girl’s dream… Barbie Microphone! 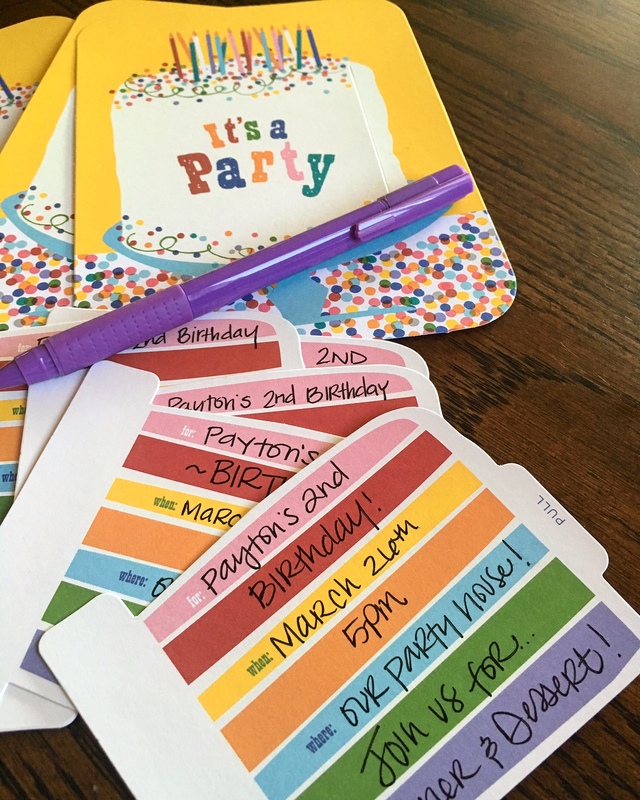 I hope these ideas inspire you to get creative with your next party! 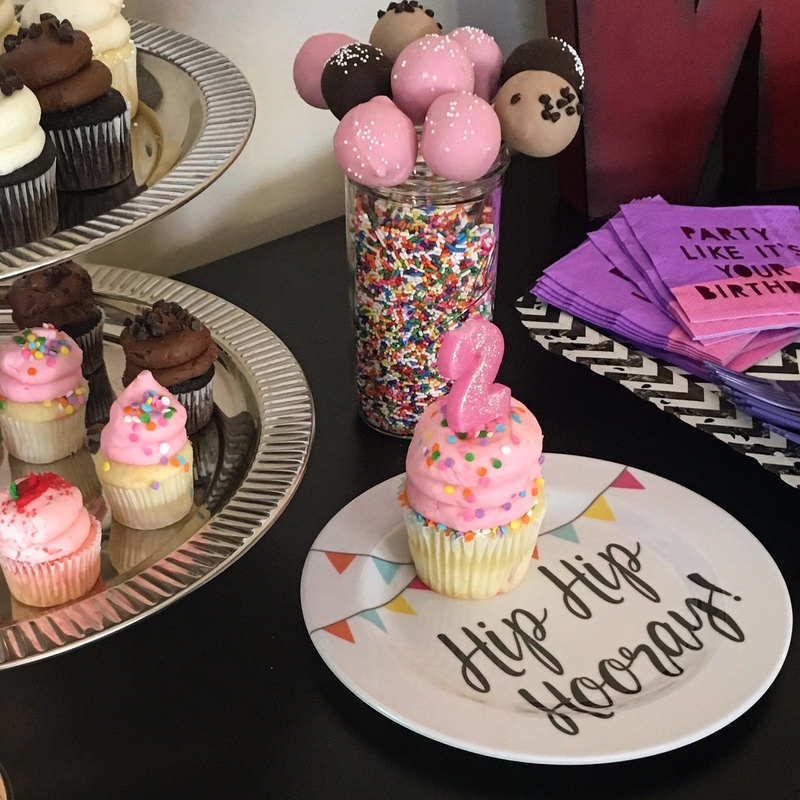 Remember… no matter how big or small your party is, have fun with the decor and especially the dessert table! 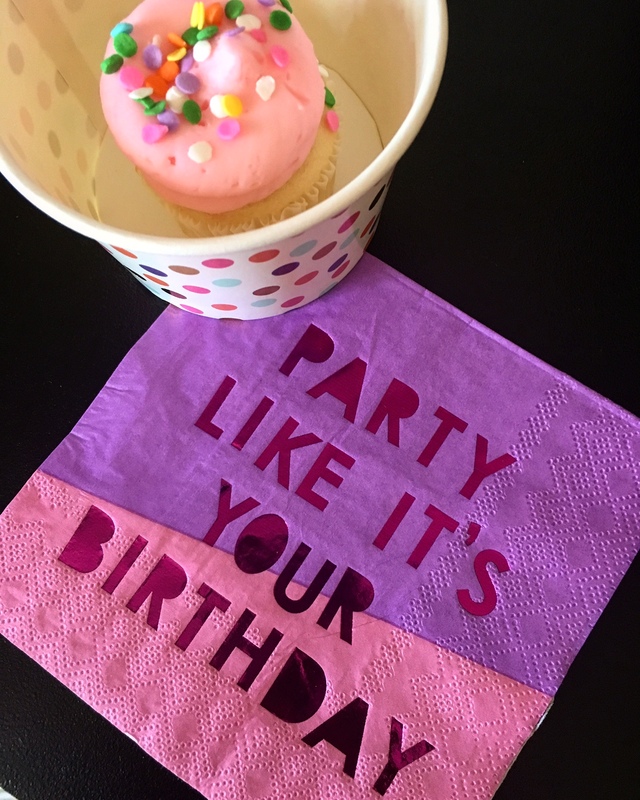 CLICK HERE to see more Birthday Fun! 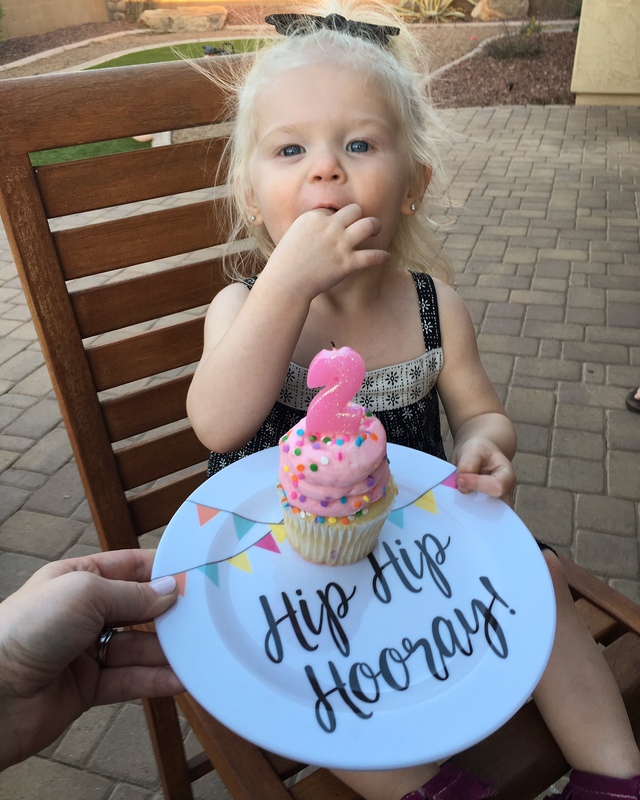 She’s TWO CUTE!!! I received some of these items in exchange for an honest review. All thoughts and opinions are 100% my own. This post contains affiliate links. If you decide to make a purchase through my link, I will make a small commission for it. This doesn’t cost you anything additional. These commissions help to keep the rest of my content free. Thank you! That’s a wrap… Drop the Mic! Hahaha – I love this! That was my inspiration! this is the cutest theme ever! great job with everything! Now I’m craving those cupcakes lol! Thank you Chanel, I love this darn little cupcakes! TWO adorable! Well done mama! 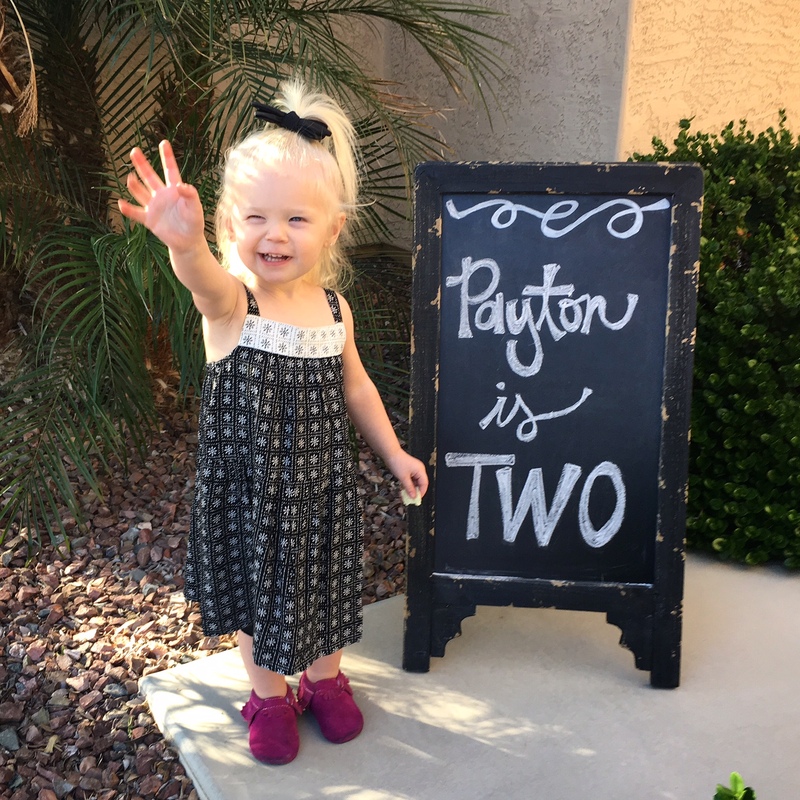 She’s ‘TWO’ Fancy is the cutest theme ever! 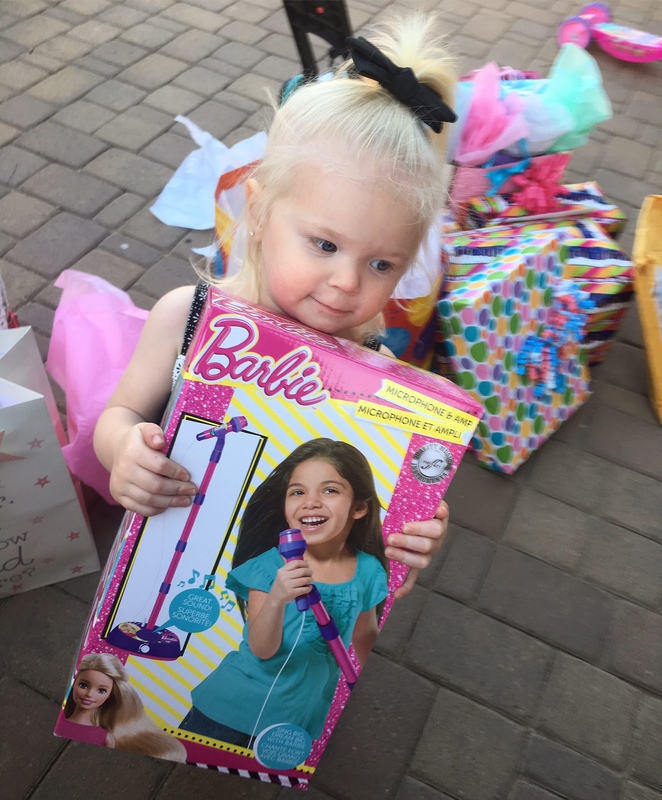 It looks like she had a great time! Yes! Thank you Stephanie! It was so much fun!